This large sandpiper is a shore bird that looks just like all the other shorebirds, very nondescript until it takes off in flight. 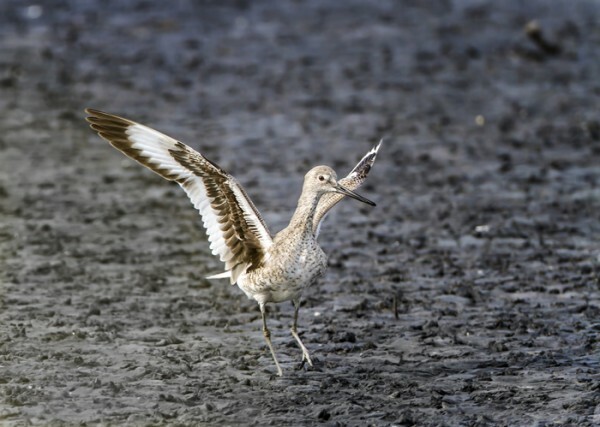 In fight, this bird has a bold black and white wing pattern with a white tail that sets it apart from all the other shorebirds and it's song sounds just like it's name! This entry was posted on Friday, June 8th, 2012 at 12:53 pm. 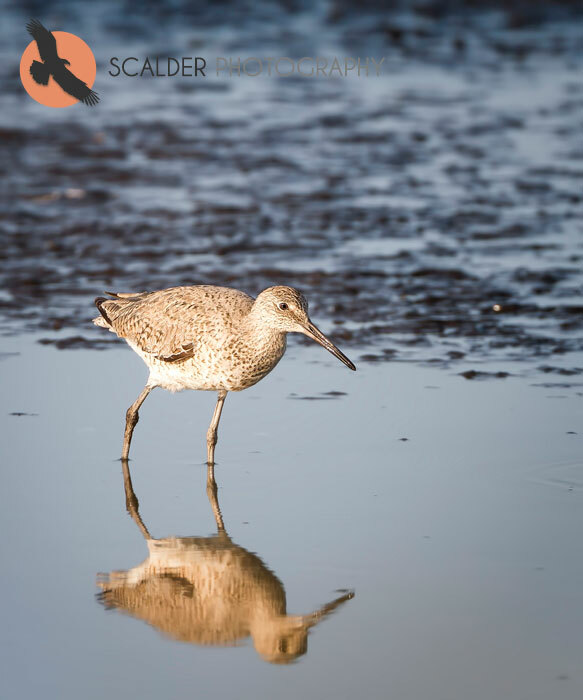 It is filed under Animals / Wildlife, New Images and tagged with bed behavior, bird identification, birds, Merritt Island National Wildlife Refuge, shorebirds, Willet. You can follow any responses to this entry through the RSS 2.0 feed.